The Park City High School girls' lacrosse team is one of the favorites to win the Utah High School Lacrosse League Division-1 State Championship this season, but its first-round opponent in Viewmont was looking to play spoiler on Friday evening at Dozier Field. The Vikings began the game with a play they called "Shark Attack," where all the players on the team gathered in a bunch on one side of the field, while a single player remained behind the goal with the ball. The Park City defense appeared confused and unsure of what was about to happen, following the Viewmont players to the one side. However, a stray Viking remained on the opposite side of the field. When the ball was quickly passed to her, none of the Miners accounted for her, as she scored a quick goal to put Viewmont on top 1-0 early in the game. The upset bid would end there, however, as the Miners followed up with 17 unanswered goals on their way to a 19-2 victory to kick off the UHSLL playoffs. "I think playoffs are a different beast in their own," Park City Head Coach Kassandra Lemons said. "Every first start of a playoff game, the nerves are high. Your season is on the line. For our girls, it was just chill out, play our game, focus on the hustle plays and the fundamentals and we'll come out on top." Being as successful as the Miners were during the regular season — undefeated against in-state opponents — it would be easy for players on the team to have a hot head heading into the playoffs, but Lemons and assistant coach Eileen Finn won't let that happen. It's all about staying grounded on the Park City team, Lemons said, and by playing unselfish and working together, the Miners hope to achieve their obvious goal. "[This senior class] had a state championship every year," Lemons said. "I think the other younger kids want to do it for them. I think that drives hustle and commitment to getting them that fourth [title], but we're not even focusing on that right now. We're focusing on our next game, next practice. That's our focus." 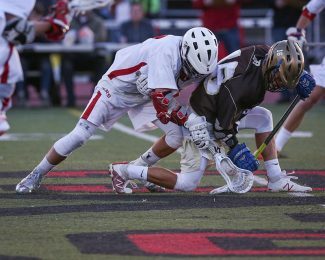 Shortly after the girls' game on Friday evening, the Park City boys' lacrosse team was in action in the state playoffs, as well. After defeating Timpanogos 16-9 in the first round, the Miners hosted Davis in the second round. The last time these two teams met was at the end of April, when a snowstorm caused the game to be postponed and finished at a later date. Friday's weather was much better for the Miners, who used six first-quarter goals to race past the Darts 12-6 to advance to the semifinals of the UHSLL playoffs. "Davis is big, physical and well-coached," Head Coach James Meyer said. "We knew that if we moved the ball quickly we would have opportunities." The Miners were led by senior Jack Mintz, a Vermont commit who scored a game-high four goals. Mintz' playmaking was especially accepted on a night where typical goal-scorer Beau Pederson was seen initiating opportunities for his teammates rather than himself, finishing with four assists and two goals. "Jack played phenomenally," Meyer said. "He is such a dynamic playmaker with a great shot. We have made a concerted effort to get him the ball more often. He just took over the game from the start. We are thrilled with his production in the playoffs." Next up for the boys' team is a date with Juan Diego, a team that Park City knows it'll need to play its best against if it wants to advance to the finals. 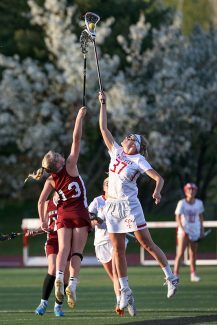 The two teams met on April 7, an 11-5 victory for Park City, and are widely regarded as two of the best programs in the state. 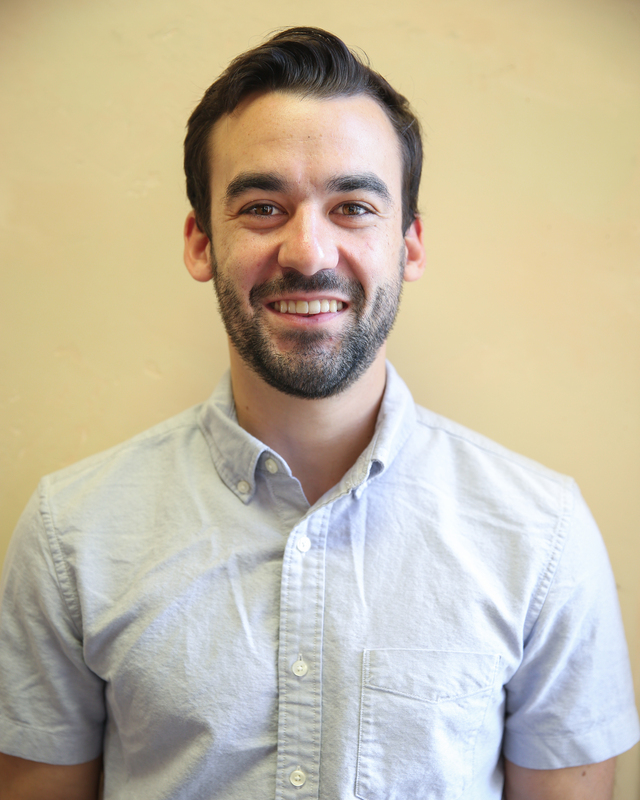 "[Juan Diego] has a great defense and now they are healthy," Meyer said. "It will be a huge test for us. We will spend all practice [Monday and Tuesday] getting ready. We have to make adjustments as they have seen what we run." The Park City High School boys' team will take on Juan Diego on Wednesday evening at Jordan High School at 7 p.m. The girls' team will also be in action, but at American Fork High School, at 5:15 p.m. against American Fork. Please see the Park Record photo galleries for pictures of both the girls’ and boys’ games on Friday.